Patients are becoming increasingly more frustrated with today’s healthcare system: long wait times, difficult appointment scheduling, and limited time spent with the doctor. 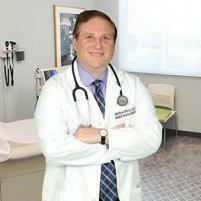 Board-certified internist Dr. Matthew Mintz offers an alternative, personalized solution with concierge medicine. Concierge medicine allows patients more face time with their physician, fast lab results, and around-the-clock access to their doctor. Patients can once again feel like their physician knows and understands them on an individual basis when they opt into concierge services with Dr. Mintz. To learn more about concierge medicine with Dr. Mintz, call or book an appointment online today at his office in Bethesda, Maryland. Dr. Mintz welcomes all patients from the surrounding areas, including Potomac, Rockville, Chevy Chase, Washington D.C., and Virginia. The concierge model of healthcare changes the traditional health insurance-style medical practice into a personal, one-on-one relationship between a patient and their primary care. The benefits of a concierge relationship include longer appointment times, same and next-day appointments, 24/7 availability, lab work that’s done in-office for faster results, and in general, access to Dr. Mintz that’s more conducive to one-on-one care through a more familiar relationship. To receive this level of service, patients pay a membership fee that can billed annually, monthly, or quarterly. How does concierge medicine work with medical insurance? Dr. Mintz is able to offer concierge level service by not accepting payment from health insurance companies. However, patients absolutely need health insurance to pay for their other health care needs such as laboratory tests, medications, specialty care and emergencies. When Dr. Mintz refers you to a specialist or sends your blood work to the laboratory, those providers will bill your insurance. It is only the visits to Dr. Mintz where insurance is not accepted. Dr. Mintz offers an annual concierge membership that gives you unlimited access for a single flat fee regardless of how many or how few visits you make; and includes an annual physical examination, EKG, and blood work drawn in our office. In addition, for patients who do not have Medicare or an HMO, Dr. Mintz can prepare an invoice for each visit that his patients can submit to their insurance companies for potential reimbursement. How do concierge practices differ from each other? Reputable concierge practices generally restrict the size of their practice to a set number of patients, ensuring that there’s time to meet each patient’s needs, but that number can vary widely. Dr. Mintz will substantially limit his practice size to ensure high-quality service for everyone he sees. Cost and levels of service may also vary. Dr. Mintz’ annual membership fee is $1750, which can be paid annually, monthly or quarterly. This fee is several hundred dollars less than most other concierge practices in Bethesda, Maryland as well as similar practices including Potomac, Rockville, Chevy Chase, Washington D.C., and Virginia.